The Handel and Haydn Society will conclude the first full season of its ambitious Bicentennial celebration with Haydn’s The Creation at Symphony Hall on May 1 and 3. The program choice is fitting, for the very seal of the H+H, dating to 1816, is emblazoned with the titles of what the founders deemed the greatest works by their namesake composers: Handel’s Messiah and Haydn’s Creation. The critical and popular fortunes of the two oratorios have not, of course, always kept pace in Boston or elsewhere. Messiah is a ubiquitous holiday fixture, whereas the H+H, which gave the first complete U.S. performance of Creation in 1819, has not presented Haydn’s greatest work since 2001. Reviewing Boston “Concerts of the Past Winter” in the July 1840 issue of the short-lived but important Transcendentalist journal The Dial (1840-1844), the first major U.S. music critic—the prolific John Sullivan Dwight—set the bar impossibly high, declaring Handel’s oratorio the greatest of all musical works: “Music is the inspiration, the yearnings of the heart to the Infinite,” he wrote, and in Messiah Handel achieved “a complete and epic unity” expressing that supreme theme. An advocate of orchestral music, Dwight credited Haydn with creating the symphony, but came to regard Beethoven as master of that form and the greatest composer next to Handel. 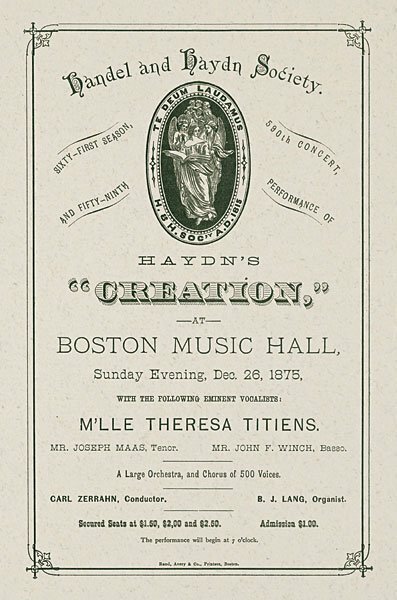 Decades later, in April 1887, Dwight assumed authorship of the History of the Handel and Haydn Society . 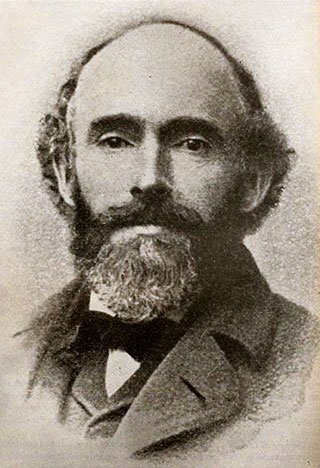 . . 1815-1890 (Boston: Alfred Mudge & Son, 1883-1893) after his predecessor, Charles C. Perkins, was killed in a horse-carriage accident. Picking up the narrative with the 1851-52 season, Dwight observed that performing oratorios by Handel and Haydn remained “obligato by the very name of the Society”; but he noted that next to Messiah, Mendelssohn’s Elijah by that time “had made the greatest impression” in Boston. Nevertheless, Haydn’s reputation in Boston remained high in the 19th century thanks to the efforts not only of the H+H, but also of Dwight and his Transcendentalist associates. The Transcendentalists’ interest in cultural giants, however, was strikingly non-jingoistic. Indeed, the most remarkable study of “Great Men”—Emerson’s lecture series of 1845-46, which became the book Representative Men (1850)—pointedly lacks a single American: There were Plato (the Philosopher), Swedenborg (the Mystic), Montaigne (the Skeptic), Shakespeare (the Poet), Napoleon (the Man of the World), and Goethe (the Writer). Unlike his British friend Thomas Carlyle’s approach to the study of great men, moreover, Emerson was averse to “hero worship” of monarchs, dominating military leaders, and tyrants (he skewers Napoleon). Each of his figures embodied virtues (and defects) of the human condition writ large; each was a benchmark against which readers could measure their own moral, intellectual, and spiritual condition. In this spirit, Fuller presented her “lives of the great composers” with the core Transcendentalist belief in “the identity and universality of all thought.” For the H+H, promoting the best European masters was a necessity; there was no American world-class composer. Still, the Society was impressively cosmopolitan in building a local music culture. We tend to think of the Transcendentalists as rarefied idealists. But they passionately supported all kinds of social reform as well as individual self-culture. The same principles drove the founders of the H+H, who, Jan Swafford explains, were not aristocratic Brahmins but middle-class merchants and working people (The Handel and Haydn Society: Bringing Music to Life for 200 Years, ed. Teresa M. Neff and Jan Swafford [Boston: David R. Godine, 2014]). These civic-minded founders, and their Transcendentalist allies two decades later, promoted music in Boston not as a pretentious ornament for the elite but to inspire a more enlightened citizenry. Haydn’s appeal to the Transcendentalists was moral (his exemplary life) as well as aesthetic and philosophical—spheres Emerson, Dwight, and Fuller considered intimately linked. The very theme of “Creation” struck a chord. “Whoever creates is God,” Emerson wrote in his journal with classic Romantic hyperbole. Haydn celebrates the wonder of Creation from Chaos, the splendor of all living creatures, the “verdure” of a fresh new world. “Haydn,” Fuller wrote, “is the untouched green forest in the fulness of a June day.” Moreover, though The Creation is based on the Book of Genesis and Milton’s Paradise Lost, its theological burden is light, displaying the love of Adam and Eve before the Fall—welcome to the many Transcendentalists who were former or active Unitarian clergymen and who thus had little interest in original sin. 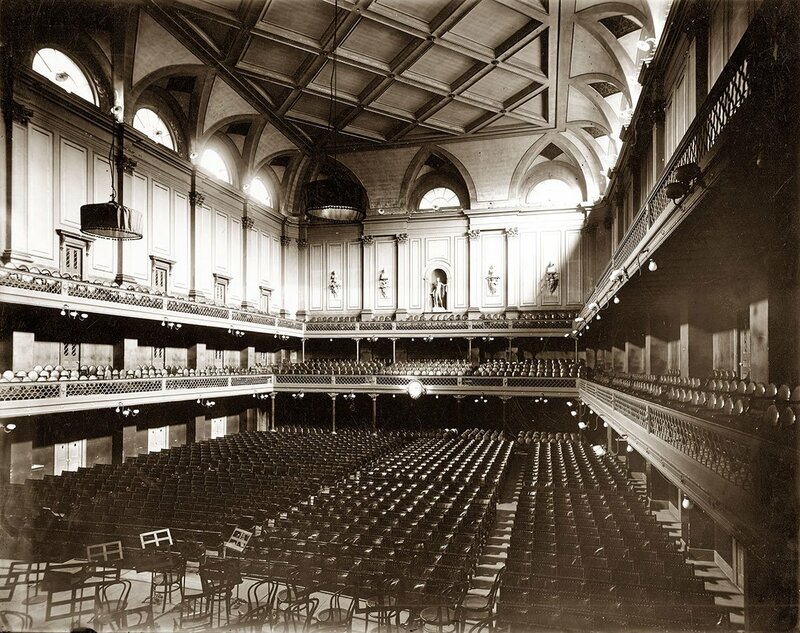 Dwight heard The Creation with a 78-piece orchestra and 450 singers before an audience of only 1,000 at the 2,500-capacity Music Hall. Harry Christophers will conduct a considerably scaled back orchestra and chorus in two “historically informed performances” to full houses at Symphony Hall. “Fresh life and charm” indeed for Haydn’s Creation—and for the H+H at 200. Wesley T. Mott is Professor of English at Worcester Polytechnic Institute. He organized the Ralph Waldo Emerson Society in 1989. Author of “The Strains of Eloquence”: Emerson and His Sermons (Penn State, 1989), he edited volume 4 of The Complete Sermons of Ralph Waldo Emerson (Missouri, 1992) as well as several reference works, including Biographical Dictionary of Transcendentalism and Encyclopedia of Transcendentalism (both Greenwood, 1996) and the three-volume American Renaissance in New England (Gale, 2000-2001). Most recently editor of Ralph Waldo Emerson in Context (Cambridge, 2014), he is also an editor of the Journal in the Princeton Edition of The Writings of Henry D. Thoreau. He has been an officer and/or board member of the Emerson Society, Thoreau Society, Louisa May Alcott Society, and Walden Woods Project. it was with great pleasure and interests that I read this piece. I was not aware of the connection between the Handel and Haydn Society and the transcendentalists. Thank you for this tremendous contribution. I was fortunate to be in Symphony Hall in September of 2001, when H&H last performed the ‘Creation.’ The concert, which took place shortly after the horrible events of that month, began with a short selection from Mozart, played in memory of a member of the H&H family who perished in New York as well as all of the victims. And then, without pause, all of us, performers and audience alike, proceeded to re-create our world with the music of Haydn, at once very much of this earth and transcendentally sublime. Even as we appreciated Haydn characteristic humor and earthiness, we all felt, as Whitman put it, the “billows of godhead lave” us.